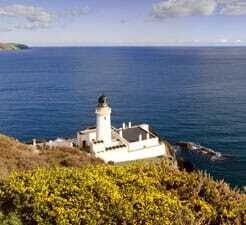 Use Direct Ferries to compare and book your Ferry to Douglas in Isle of Man to get the best deal. Our unique ferry price comparison tool will compare numerous sailing departures around your preferred option with all available ferry companies as well as crossings to other destinations in addition to Douglas to guarantee you have all the information you need to decide on which is the best option in one fast and easy search! Having never taken a car on a ferry previously, we were impressed by how hassle free this was. It was organised, smooth and simple with a stress free crossing and excellent facilities and staff. "Great journey to the Isle of Man"
I travelled with an elderly relative who uses a walking stick. We were given a parking space as close to the indoor area as was possible. Access was easy. Facilities were convenient, more than adequate, and very clean. I couldn't really fault anything at all.